We have done posts about this wonderful optional accessory before, however, did we mention that it is a FAVOURITE! Wherever we go and show what you can do with THE JANOME CIRCULAR ATTACHMENT, the reaction is always the same. 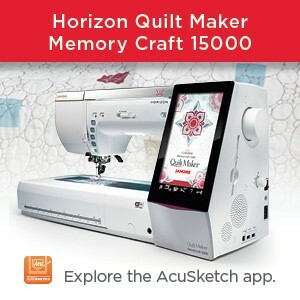 Lots of oooo’s and ahhhh’s seeing such a cool tool sewing in circles……….. Your machine’s bobbin cover has a square-ish shape, you need PART # 202107000. Your machine’s bobbin cover is rectangular in shape and does NOT have the new EASY SET bobbin system, PART#202106009 will fit. You have one of our newer JANOME machines with the EASY SET bobbin system, with a little smaller rectangular shape bobbin cover, you need PART# 202135007. This Circular Attachment has an arm which screws into the needle plate to hold it firmly in place. It fits into the MC15000 & MC9900. NOTE: If you’ve purchased the NEW EASY SET ULTRA GLIDE NEEDLE PLATE for your 9mm model (see blog post May 9th, 2014), this Circular Attachment will work on other 9mm models when you have this needle plate on the machine. This is a block from a quilt made by Lois who is a customer at Langley Vacuum & Sewing, BC, Canada. Lois belongs to The Langley Embroidery Club run by Yvonne Menear (previously featured on htis blog). 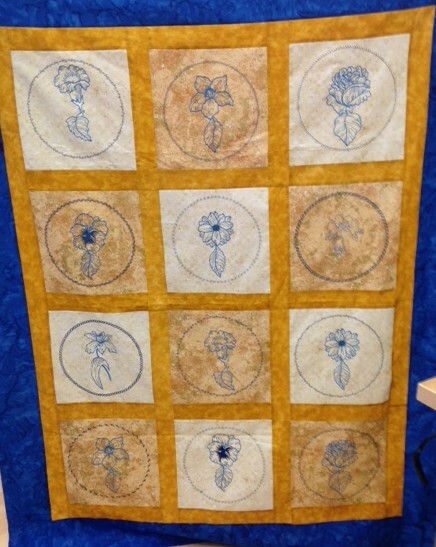 The block was embroidered by Stephe (who works at Langley Vacuum) and Lois stitched dec. stitches in a circle around the embroidery & put the quilt together: See below for a pic of the whole quilt. OK, so what does the attachment do? 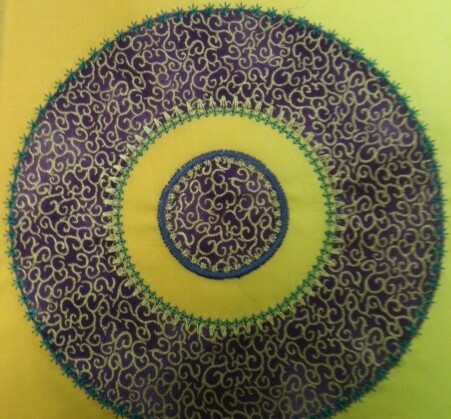 It forces the fabric to sew in a circle so you can achieve all sorts of decorative effects in circles. Overlap the circles, or stitch half or quarter circles……playtime rules! Experiment with all sorts of decorative stitches on your machine……an EXCELLENT opportunity to use those neglected decorative stitches. Embellish clothing, pillows, place mats, table cloths, drapes, bed linen……anything you can think of! 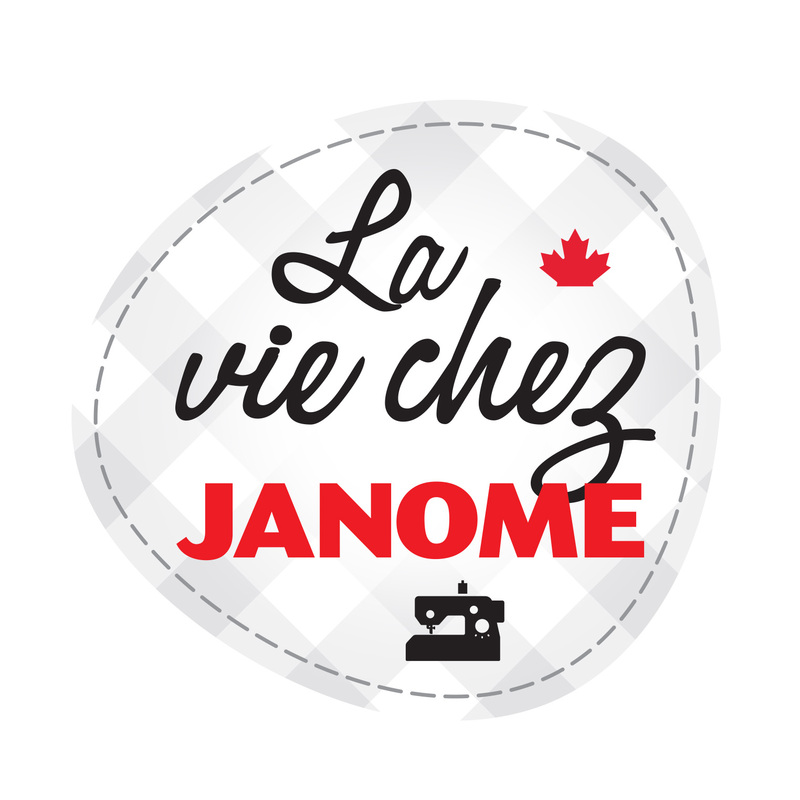 Take it one step further and use the JANOME CIRCULAR ATTACHMENT to sew perfect circles when you do applique. 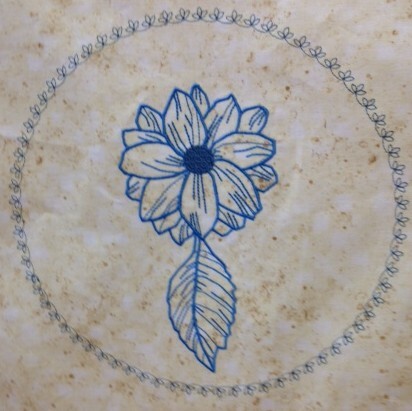 Yes, have you ever tried to sew a satin stitch applique stitch around the edge of a circle? I have and I am telling you that it is is extremely hard to get a perfect circle – no matter how hard you try! But let the JANOME CIRCULAR ATTACHMENT do the work for you and perfection becomes an easy thing to achieve!! Lay the applique fabric over the background fabric & pierce both fabrics with the pin on the Circular attachment. Sew a circle using a straight stitch. Remove the fabric from the pin and cut away the top fabric as close to the outside of the circle as possible. Put the fabric back onto the pin in the same hole & now stitch a satin stitch or other decorative stitch all around the circle over the top of the cut edge. VIOLA! perfect applique circle. 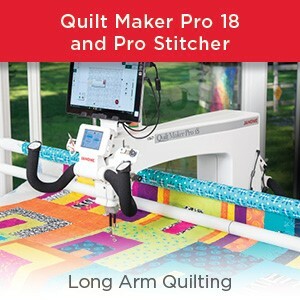 Kick it up a notch and use the JANOME CIRCULAR ATTACHMENT to do machine quilting in circles…..yes, same thing: it is extremely difficult to stitch perfect circles at the same time as feeding a big quilt into the machine. But attach the Circular attachment, place the quilt onto the pin and then stitch or quilt in circles! Have fun……make this attachment do the work for you. The whole quilt top that Lois shared with us at a recent Langley Vacuum & Sewing Janome evening: see above for acknowledgements. I just love the mustard yellow & blue together – very pleasing! This entry was posted in Creativity, Decorative stitches, JANOME FOOT SERIES, Janome Fun, Janome Quilt, Janome Sewing Machine and tagged APPLIQUE WITH THE JANOME CIRCULAR ATTACHMENT, DECORATIVE EMBELLISHMENT WITH THE JANOME CIRCULAR ATTACHMENT, JANOME CIRCULAR ATTACHMENT, JANOME CIRCULAR ATTACHMENT FOR EASY SET BOBBIN MACHINES, QUILTING WITH THE JANOME CIRCULAR ATTACHMENT, STITCHING PERFECT CIRCLES. Bookmark the permalink. I have a circular attachment that I purchased when I had the Janome 5000. It is part #200-024-109. 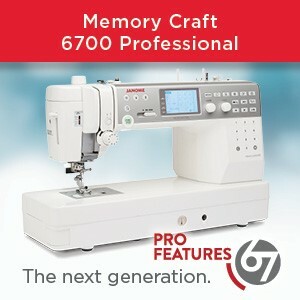 Will this attachment work with the Janome 15000? I also have the Rotary Even Foot, purchased about the same time as the circular attachment. Will it work for the 15000? I enjoy the blogs, always something of interest. Sorry, no the circular attachment and rotary even feed foot set for the Janome 5000 will not fit the MC 15000. They are completely different machines. I bought this after reading your earlier article. There are so many features to explore with the 15000 that I haven’t gotten to try it out yet but certainly will do so now! I do wonder how to get the decorative stitches so that they’re “even”- meaning that you can’t really tell where they start or finish as in the beautiful block made by Lois. If some has a mathematical formula, that would be great. Unfortunately math was never my major strong point. I just move with the creative flow! I use the Circular attachment frequently and have never worried too much about perfect “even” endings. It usually looks just great as a whole picture. However, if you require perfection, then I would test sew one and as you get near to the start point (maybe an inch or so), measure the space left as well as the space used by ONE dec. stitch. Divide this & if it is not an exact number, then you will have to alter the size of the stitch to fit the remaining space exactly. Probably the stitch length. I wouldnot bother with measuring the entire circle circumference – that is way too much math work!